Tizen OS beta screenshot via Wikipedia. Samsung co-CEO J.K. Shin was very bullish on the prospects for Tizen in an interview with CNet this week, calling the operating system more than a "simple alternative for Android." 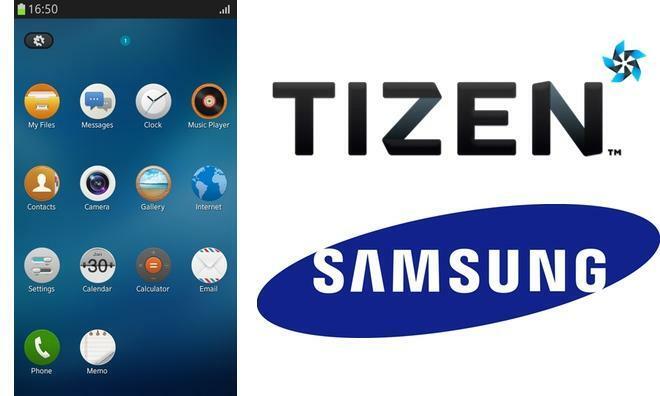 He believes that adopting Tizen will allow Samsung to offer customers "cross-convergence" between various products, including smartphones, PCs, cameras, and even outside industries such as cars, biotechnology or banks. Prototype devices running Tizen were officially unveiled by Samsung in February at Mobile World Congress as an alternative for Apple's iOS and Google's Android. Currently, Samsung's flagship smartphones run the Android operating system. Samsung's existing Android phones are customized with a layer of software and services placed over Google's mobile operating system. These changes help to differentiate Samsung smartphones from other Android phones on the market, but some users also feel the additional software hurts performance and is a downgrade from stock Android. That's help to create an interest in Google's own Nexus devices, which run "vanilla" Android without any custom skins or extraneous applications. And more recently, Google has opted to begin installing stock Android on handsets made by its Motorola division, ditching the "Motoblur" skin the company had spearheaded before it was bought by Google. Google is also pushing more aggressively into the hardware space with the launch of the Moto X customizable smartphones from Motorola. As Google begins to encroach on Samsung's lucrative smartphone hardware business, the South Korean firm may look to reduce its reliance on Google's Android, and adopt a mobile operating system like Tizen, which it has more control over. When Samsung unveiled its new Galaxy S4 smartphone at a media event in March, the company made no mention of its partner Google, and made reference to the Android operating system just once. This despite the fact that Samsung is the largest manufacturer of Android devices in the world, and is the only Android handset maker currently turning a profit. Samsung's potential Android alternative, Tizen, is part of the Linux Foundation, and is governed by a technical steering group composed of Samsung and Intel. It supports both ARM and x86 processors, and is designed for smartphones, tablets, in-vehicle navigation systems, television sets and more.